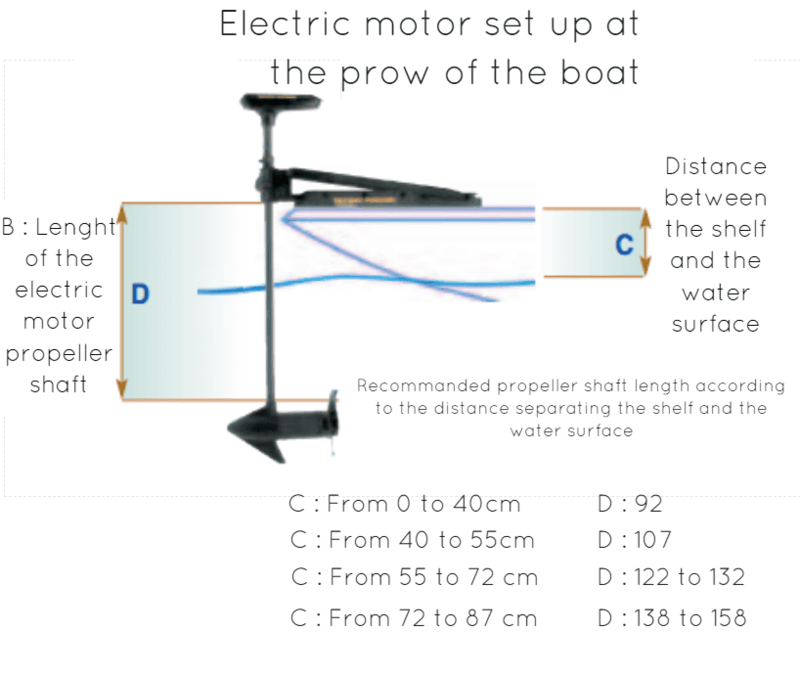 Home > Blog > Advice > How to choose an electric propulsion system for your boat ? Heat engines are more and more criticized and there are many reasons for this bad popularity. Of course, the first argument is the pollution, as well as the noise. Those arguments justify, for plenty of administration, the restriction of heat engines on their lake, river and waterway. 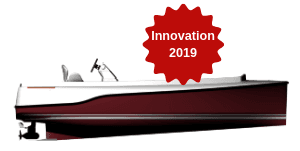 By the way, the number of waterways accessible by heat engine is decreasing and people owning those polluting motors are pushed to set up electric systems on their boat. 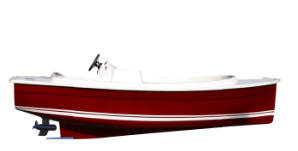 In this way, more and more users go for electric motor on their craft, particularly popular in France, in renting boat business, especially for economic and practical reasons. 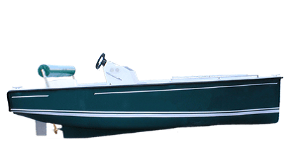 An electric engine can be used as auxiliary motor for fishing for example. 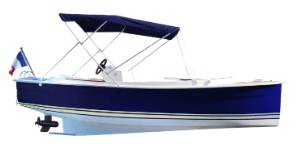 It enable soft arrival in spots and better orientation control of the boat. Electrics systems can be used as backup engines as well, if the combustion engine breakdown to reach the riverbank. You must know that actual electric engines that have a high and almost constant torque have a much better output than their thermic counterpart. How to choose your electric motor ? Those measures will give you the keys to identify your needs in terms of power. We will come back to this later. How to set-up an electric engine ? How powerfull should be my electric motor? We usually measure it in pounds (lbs) or Kw but not horsepower. Note : Some electric motors, especially from the Torqeedo range, reach a 8 hp (horsepower). It’s clearly enough to substitute any thermic motor in a calm water environment. Even if the electric didn’t reach the performances of thermic motors, the gap tend to disappear, thanks to plenty of innovations. 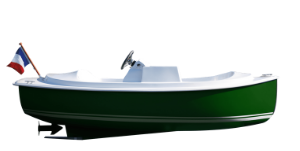 86 lbs 1.5 CV Boat that weight less than 600 kg, Can be used as a backup engine as well. 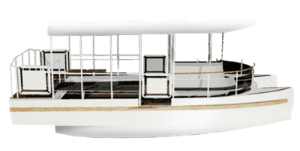 What self-sufficiency should have my electric propulsion system ? We can not talk about electric motors without talking about range or autonomy of the battery. If you want an over powered motor and if your battery is not adapted, you might be able to steer fast but during an extremely short time. It is a determining factor that is, unfortunately, not visible or not understandable during the purshase decision. Indeed, the consumption of your electric motor will depend on the use you make with it : do you want to go full speed nonstop ? In this case , rather have a backup battery on board because the autonomy will be largely reduced comparatively to a normal use of the motor. 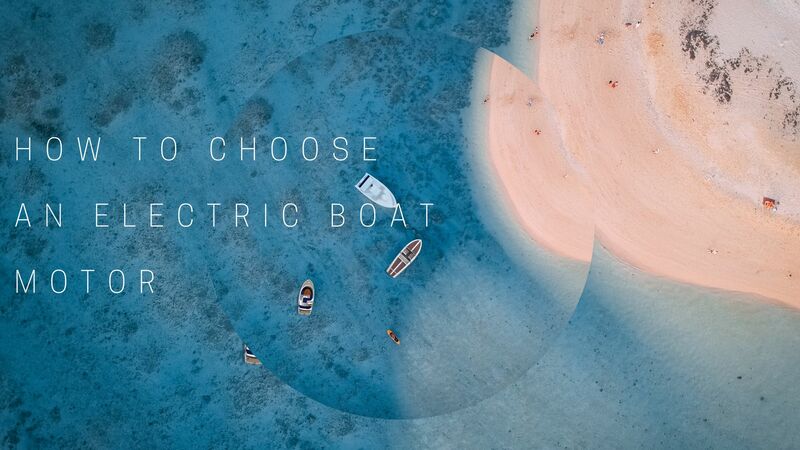 Before looking for an electric system, think about your real need and the use you will have from your electric motor : do I need a lot of autonomy ? Do my electric consumption is important (high speed) ? Will I steer in calm areas or will I have to front tough conditions ? Reminder : The amperehour is the quantity of electricity crossing a conductor section from a 1 ampere intensity power for 1 hour. This is to say : The autonomy is dependant from the power consumed by your electric motor and the capacity of your battery. The calculation is : Power of the battery / used power. 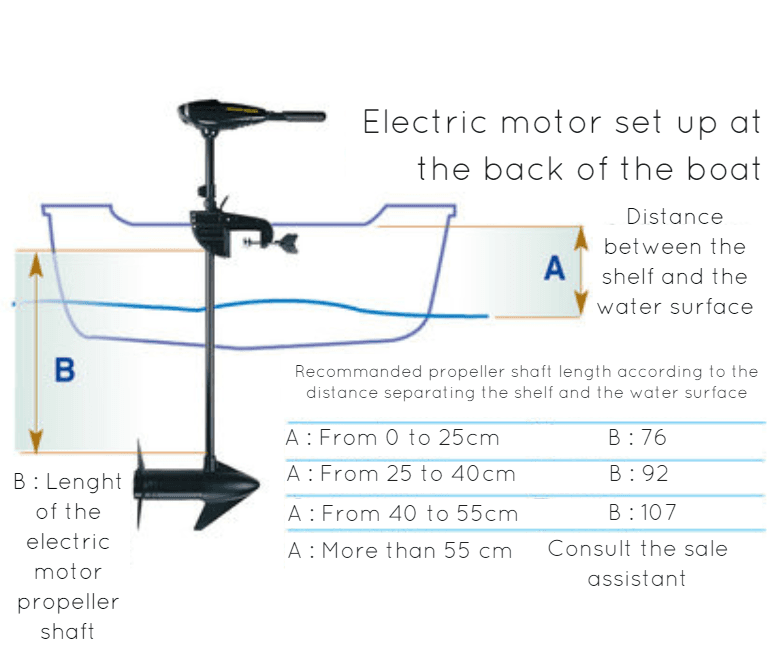 Note : Do not exclude the weight of the battery, for exemple to supply our SCOOP, a 4 battery pack is necessary (an extra 200 kilograms on top of the boat weight !) The weight is a really important variable). You can find all our battery and equipments here. With a variable voltage regulator you can reach a 50% energy economy. Moreover, the regulator ensure a better functioning of the system but impact the total price. How fast is an electric motor ? According to the use of each of us, the maximum speed might be the less important factor. 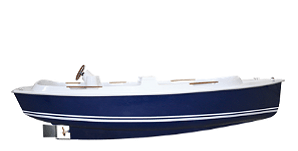 Usually, for a river or waterway use, the speed is limited to 4.9mph in France : useless to have a powerful boat. If you are not convinced yet to go electric, do not hesitate to check all our motors and equipment. If you have some questions about electric motors systems, do not hesitate to contact us, our team will be pleased to answer you !